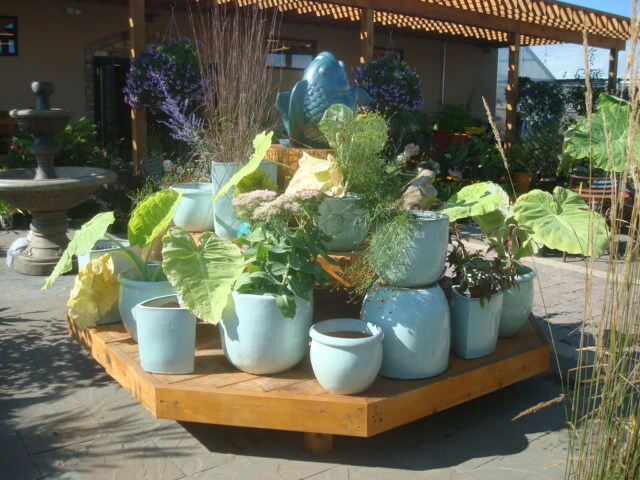 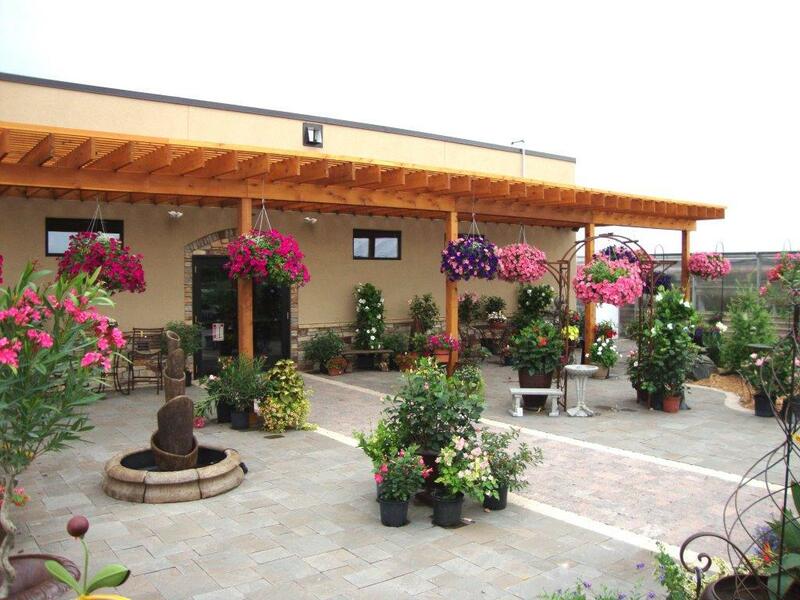 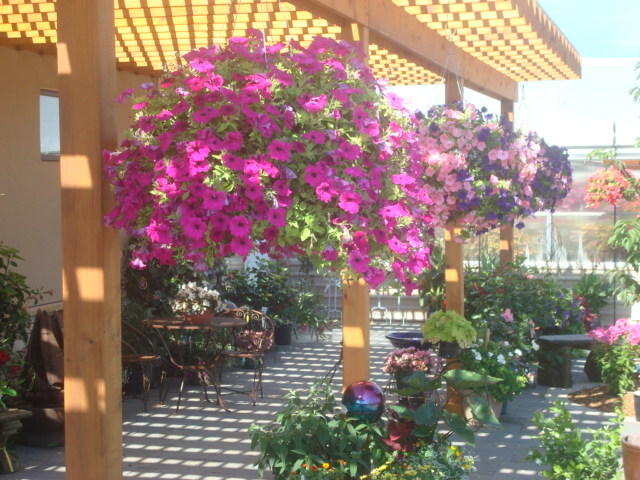 Colorful Seasons outdoor patio area is filled with a colorful array of Hanging annual baskets, containers of annuals, flowing fountains, colorful pottery and birdbaths. 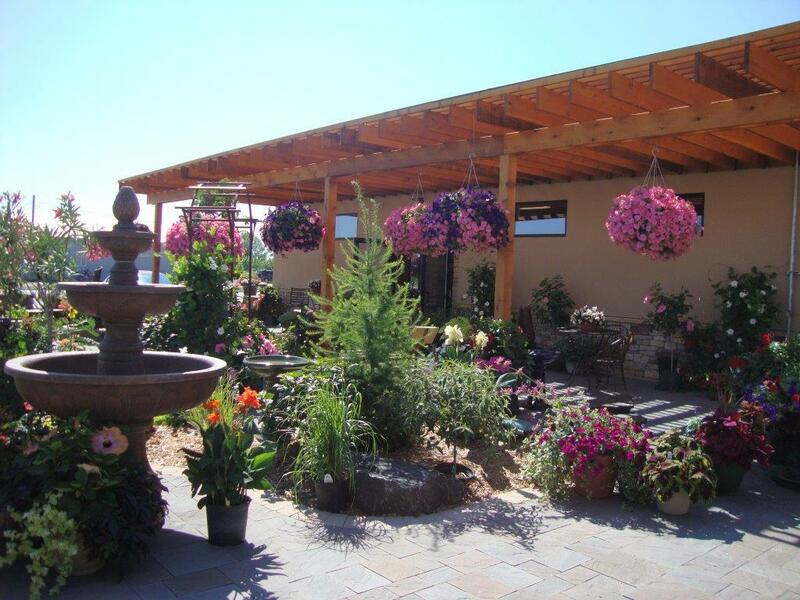 Wrought iron arbors lead the way to our large nursery. 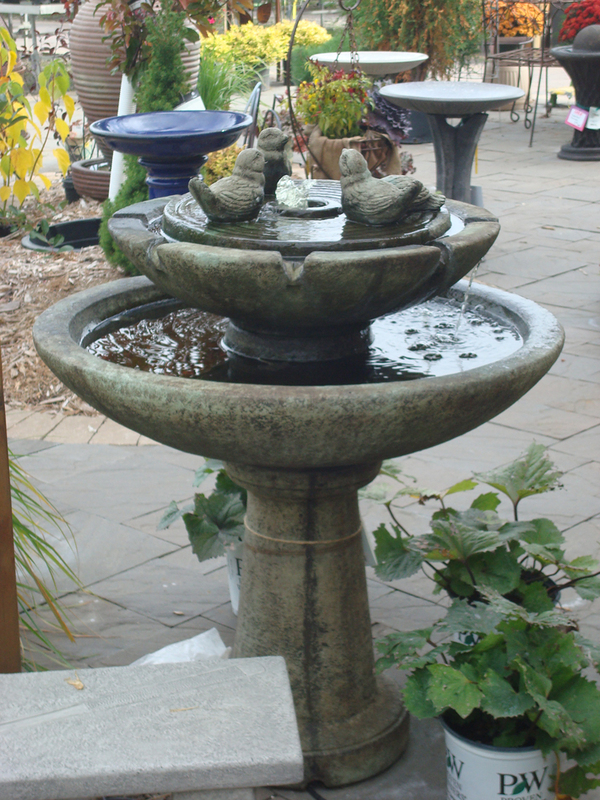 Metal urns, trellis’s, and animal art would be fun to add to any landscape!